The Discovery comes with an extra battery and a dual-plug battery charger. 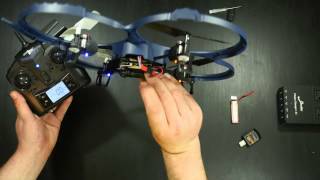 A 720p, 30 fps camera, and a bunch of spare parts are included with the quadcopter. Additional propellers are cheap online. It comes with a 2GB microSD card and mini USB card reader. The relatively short battery life is about 7 to 8 minutes. There are no camera controls other than On and Off. Go for the U818S Wi-Fi version for live viewing. The instructions are poorly translated and incomplete. 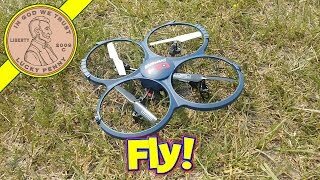 The Discovery U818A-1 is a good beginner drone with an extra battery and propellers, a 720p 30 fps HD video camera, and inexpensive extra parts. 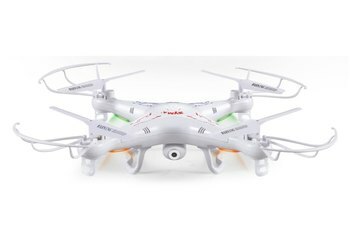 The drone comes with a dual battery charger that does a relatively quick job of charging, but flying time is about 7 to 8 minutes per battery, so you need to buy extras if you want to log good flight time. When just starting out, you can run in slow mode and then switch to fast after you get the feel of it. 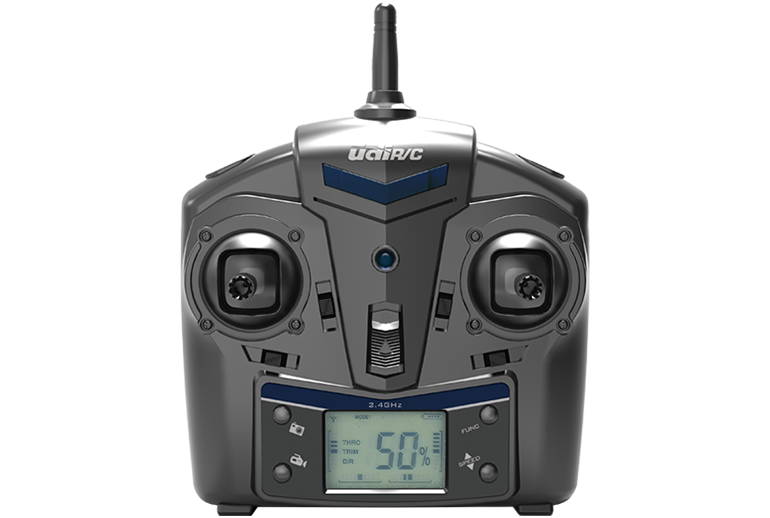 The 2.4 GHz controller lets you take snapshots or videos and includes a monochrome LCD screen that gives feedback on the battery, trim levels, and photo/video status. This upgrade to the U818A includes a 2GB microSD card that can record stills and video of your flight. 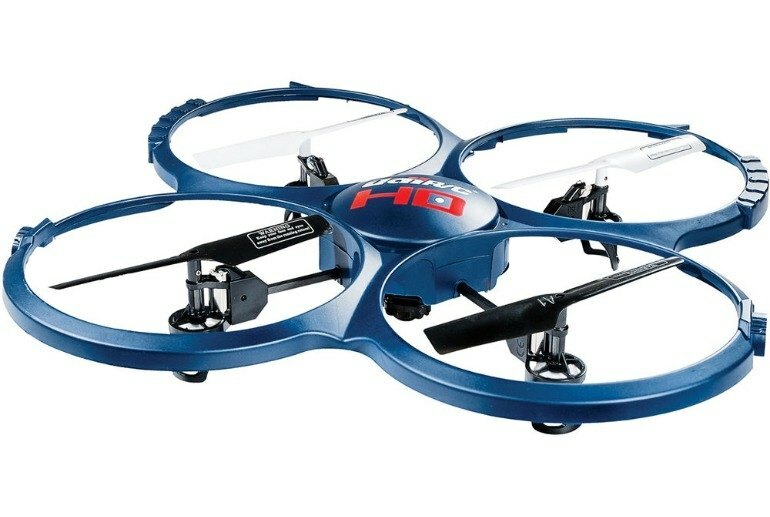 If you are a beginner or want to turn yourself in a serious hobbyist, the UDI U818A-1 Quadcopter can definitely be a strong contender. 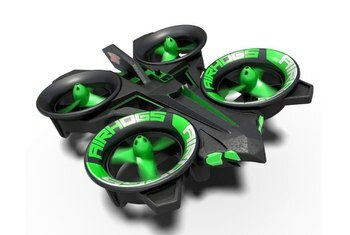 Thanks to it’s strong yet flexible protector, you can fly this drone both indoors and outdoors. 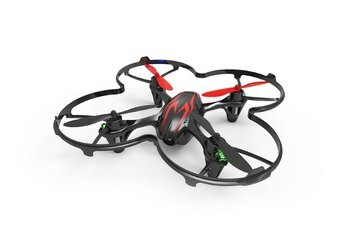 An excellent quadcopter for the beginner, the UDI U818A is easy to fly and is fairly stable even in winds of up to 10mph. The drone is extremely durable. I've hung it up in a tree twice and dropped it from 10 feet in the air several times. 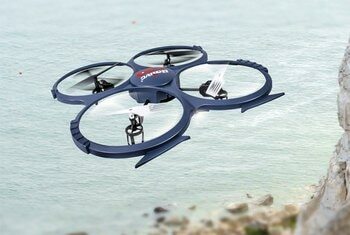 Whenever your drone is about 10 feet or higher in the air you can hit the 360° button and the quadcopter will automatically do a flip in the air. Be ready to throttle up right after, otherwise it will run itself into the ground. The drone comes with the roll button that enables you to have instant 360-degrees roll. There is also a data port together with USB data cable for you to easily upload all the new files taken. If you are looking for something fun and don’t want to spend a billion dollars this is a great option young or old. If you are wanting to get serious about drones you could always use this as your stepping stone to the real expensive ones as well. 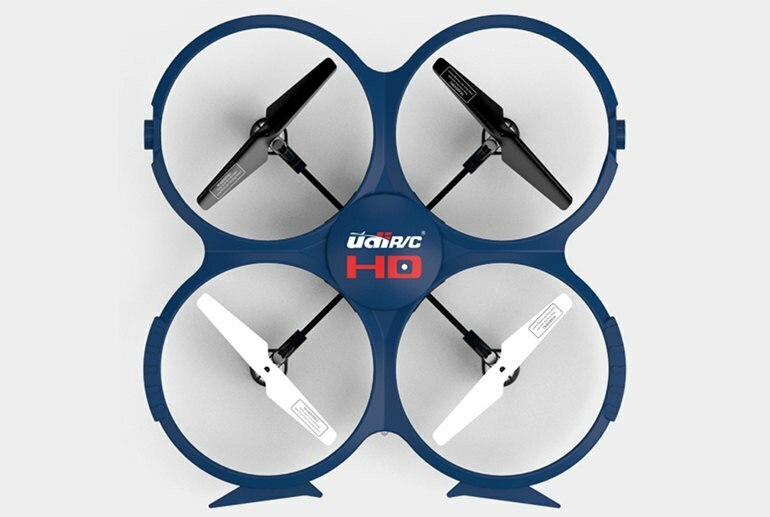 The UDI RC U818-1 Discovery is a tough 13” x 13” quadcopter with good video capability. 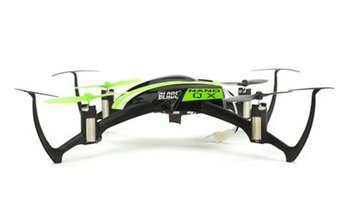 Great for indoors, this drone has full rotor guards to protect the blades in the event of a crash. 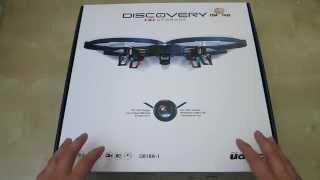 Discovery HD Upgrade Quadcopter U818A-1 - Let's Check It Out!